Orange has announced three new deals designed to help those 'light in the pocket', with the cheapest starting at just £5 per month. The network has brought out three new tariffs with phones attached, as well as SIM-only versions should you be far too fond of your current handset to get rid of it. The £5, £10 and £15 per month tariffs are all available for an eyeball sweltering 36 months (which is a fancy way of disguising the notion of being tied down for three years) but after 18 months customers will be offered an upgrade. 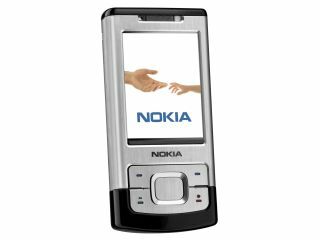 The £5 tariff only comes with 50 mins and 50 texts, as well as a bog standard Nokia 2630, while the £10 per month (100 mins, 300 texts) has a Nokia 3600 thrown in and the £15 per month (200 mins and unlimited texts) has a snazzy Nokia 6500 slide to take your fancy (although that is closing in on being nearly two years old). The SIM only plans are available for 18 months at a time, with a variety of Dolphin plans starting at £10 per month. Quite how a three year deal with an upgrade break in the middle is different from two 18 month contracts is unclear, but if you're the kind of person who just wants a mobile phone and the ability to call once in a while without worrying about topping up credit, then this is probably the deal for you.